Below is a free form study, executed with no prior conceptions of what the final result should represent. This type of work allows me to relax a bit and just concentrate on how the colors in adjacent areas should interact. In today’s study many areas of adjacent colors are similar tone. Some areas however, abut patches painted with their color complement. Both outer form and internal structure of this composition are complex. The periphery is not smooth, but broken up by convexities and sharp indentations. 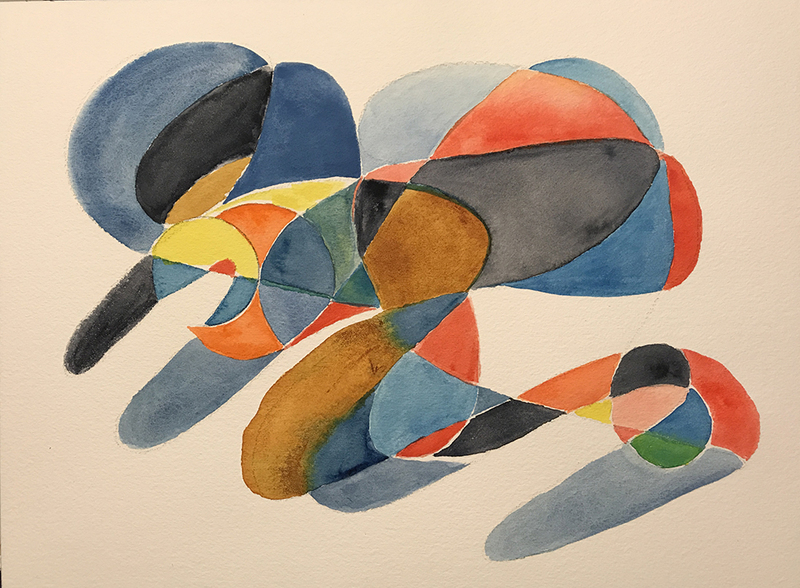 This entry was posted in Personal Stories and tagged abstract art, artistic process, creative process, creativity, drawing, free form, painting, visual arts, watercolor. Bookmark the permalink.